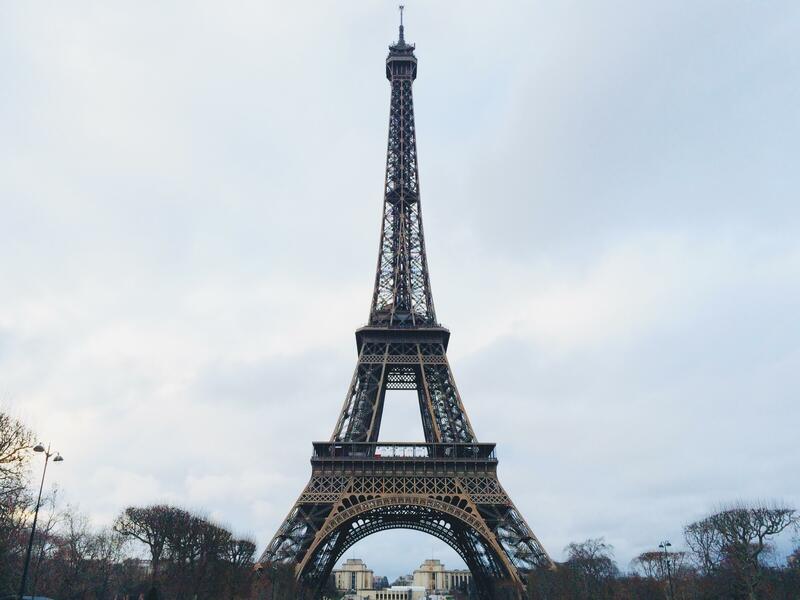 These days there are hundreds of ways to learn French, including everything from flashcards to immersing yourself in a new iPad app or signing up for a course at your local college. Seasoned language learners will tell you that the most effective approach combines a variety of methods to ensure you develop a solid grounding in vocabulary and grammar while you work on the fours skills of listening, speaking, reading and writing. However, there’s no one size fits all when it comes to learning a language because everyone has different goals. If you want to travel abroad in the French Caribbean and be able to chat with the locals you’ll need to focus on speaking and listening and maybe learn a little Creole. If you’re a scholar who has to understand French research you’ll be working primarily with grammar and vocabulary. Someone who intends to start a career with an international company in Paris has a whole different kind of challenge ahead of them. No two forms of learning provide the same kind of benefits. But unless you are an armchair traveler, you will need to be able to hold a conversation in French. And when you are looking to improve your speaking and listening skills, using multi-media is always a good choice. That’s because the phonetic alphabet can be cumbersome to learn and without a native speaker present you are likely to mispronounce words you find in a book or on a website that lacks audio recordings. Learning the wrong way of saying something can be a real pain if it turns into a fossilized error that you have to “un-learn” at a later date. It’s also a must to familiarize yourself with the sounds, stress and rhythms of the language to achieve phonological awareness, which is crucial for parsing speech, sounding out words, and spelling. Luckily for language learners the Internet has an abundance of free resources that can do anything from teach you grammar in audio lessons to show you where to place your tongue to pronounce French vowels. There are dedicated language blogs, websites, audio dictionaries, Facebook groups and even Instagram videos. Nonetheless, one of the best resources that is often overlooked is YouTube. French is a popular language to learn on YouTube and later on in this post we’ll give you some tips on some of the best YouTube channels to check out! Videos are a powerful resource for French language learners because they provide an opportunity for both passive and active learning. If you watch videos created for a native speaker-audience you can pick up on culture and spoken language — including slang and idioms. It’s also possible to turn on French subtitles and get a reading and spelling workout. French language teachers make videos too. In fact, language teachers are out in force, helping learners with simple lessons, cultural advice and travel tips for France. You can have an engaging session with a native speaker teacher and sometimes it’s also possible to hire them for private French lessons or online language coaching. YouTube is a top asset for learners despite sites like Skillshare, Udemy and Coursera having joined the video market recently. This is because YouTube provides an open platform for developers and everyday people to become producers of French media. There’s a great selection of content and it’s ideal for those looking to brush up on their French or learn a new language. 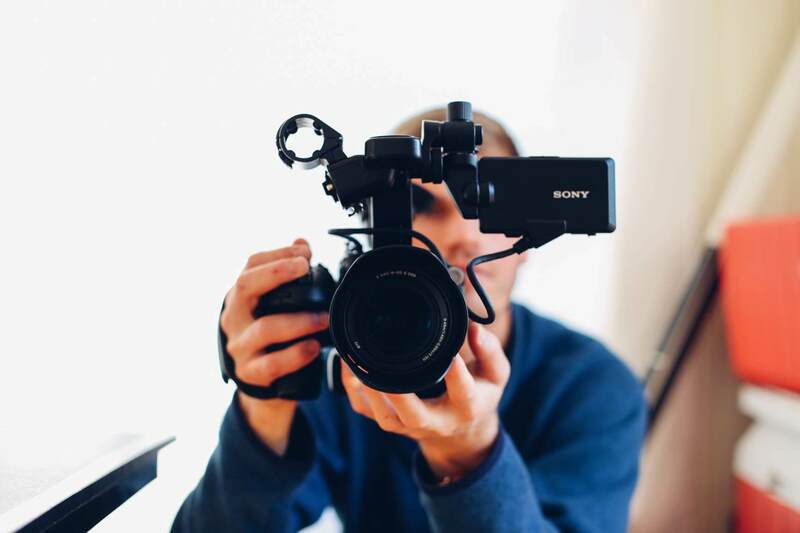 Video creators develop content on YouTube for a wide range of audiences. There are French cartoons aimed at native speaker children, sitcoms for adults, pop songs, music videos, live concert recordings, news broadcasts, documentaries and films. Don’t believe us? Do a few YouTube searches in French and see what you can find! Easy Languages: Easy Languages offers up a fun way to learn French. It is an updated series that covers interviews with native speakers who can help you make progress when it comes to pronunciation and developing a French accent. They are also great for learning figurative language and phrases. Bonjour TonTon: Perfect if you want to learn French with your children or take a more light-hearted approach if you’re an adult beginner. TonTon and Heidi will show you how to learn French through engaging, simple and enjoyable lessons. They’re interactive too! Learn French with Vincent: If you’re looking for endless content in French, allowing you to get quite deep with your learning, Vincent uploads regular videos to his growing YouTube channel. With almost half a million subscribers, you have to check this homme out! Comme Une Française: Geraldine covers everything you need to know about France. One of the most effective kinds of motivation in language learning is integrative motivation. This is when you have a desire to integrate and communicate with native speakers. Studying culture helps you learn more about the country where people speak the language you are studying. It’s a must for every newbie. From language lessons to cultural tips and advice for traveling in France, there’s always something new to learn on this YouTube channel. FrenchPod 101: This is one of the most popular options for learning French online. These guys create regular viral-style YouTube videos to help you learn a wide range of French content, from sentences to vocabulary. What’s great is they arrive in short snippets which are easy to digest and fun to follow. You can either sit there and go through the library looking for lessons that appeal to you or try to slot one video in for breakfast, another one for lunch and a final one before bed. The more regular your exposure to French, the easier it will be to remember and use! Learn French with Alexa: Alexa puts out consistent YouTube content and films with high-quality microphones that give you the best shot at scrutinizing a French accent. She has a fantastic channel covering lessons and cultural tips and even runs live streams to help you with your French language learning. Give her a try and you won’t be disappointed. Have a plan. It’s great to surf to fun videos every now and then but it’s even better if you have a plan to keep you on track and ensure you’re making progress in French. Preview various channels and decide which are your favorites. Next, set a goal to watch x amount of videos x times a week. Be consistent and stick to your approach if you want to see results! Balance it out. Videos are fantastic but they should be used in addition to other language learning tools. These may include flashcards to help you learn new vocabulary or an app that can play your speech back to ensure you’re getting the pronunciation right. For more information check out Flashsticks and the Flash Academy app for iOS or Android! Use videos to troubleshoot. If you are struggling with a certain word, grammar concept or pronunciation feat, videos are a great way to troubleshoot the problem because often seeing and hearing someone explain something is more powerful than just reading about it in a book. Don’t forget to get the YouTube app on your phone so you can look things up whenever you need to. Make use of the comments section. If you have a question about a video or simply want to engage with the person who created it (or possibly even other French learners who may have found a certain YouTube channel helpful), leave a comment! It’s a great way to start the conversation and can make up for you some of the interaction you’d get in a classroom environment. If you’re really dedicated, try to write your comment in French! Follow YouTubers on social media. Some people are dedicated language learners who actively seek out French lessons and visit the YouTube site on a regular basis. For the rest of us, it’s helpful to follow YouTubers on social media including Facebook, Instagram and Twitter so French videos are mixed into our regular new feeds and we get a daily dose of language, whether we intended to or not! French is the official language of 29 countries and is adored by millions of people around the world. It’s regarded as one of the most romantic languages and it’s a romance language to boot– which means it’s easier to learn if you speak or have ever studied Spanish, Italian, Portuguese or Romanian. According to Wikipedia, there are between 70 and 110 million native speakers of French who you can chat with and another 190 million people who speak French as a second language. It’s one of the official languages of the European Union and on top of all of that, French is considered pretty easy for English speakers to learn. That’s because way back when French kings used to rule England and as a result about 25% of the words we use every day actually come from French. This makes them cognates which are almost the same and very easy to learn. Think liberty liberté, cafe café, comprehend comprendre. Is learning from videos for me? Try it! That’s our recommendation. Remember YouTube is free so it can’t hurt. You can view and enjoy as many videos as you like, which is perfect for those on a super low budget. Use the playlists tool to organize and co-ordinate what you’ve learned and bookmark the videos you need to revise. The platform also connects creators with learners. This makes your French learning a lot more personal. You can ask questions and get answers from experts and other learners too. Sometimes YouTubers offer classes, allowing you to go even deeper with your studies. They tend to be very active on Twitter and Facebook, so you can engage with them there as well as in the comments area on the YouTube site. Try adding 10 videos from YouTube to a playlist and aim to watch them over a 2-week period. Combine this with other forms of learning like textbooks, apps and flash cards. If you’re a teacher looking to use YouTube to engage your students you may be interested in this post on using games in the French classroom. Many keen linguists like Benny Lewis and Lindsay Dow recommend using videos throughout the day to increase your exposure to the target language. It can even be helpful to listen to a French radio station, just to have on in the background. The extra value the platform offers isn’t limited to consuming videos about French language learning and culture. It’s really easy to make them as well and document your path to French fluency! However you look at it, YouTube is an invaluable resource that you can’t afford not to check out. What are your favorite YouTube channels for French? Share them in the comments!